a 0.64% short in Hoist Finance (Sweden). All four shorts have been kept unchanged in 2019, while the stocks are, as of today, up on YTD basis. According to our records, besides Bybrook, one more hedge fund holds two big bets against debt collectors. This is Portsea Asset Management with short bets against Arrow Global Group (1.9% short) and B2Holding (1.45% short). Portsea also had big shorts in KRUK and Hoist Finance, but they were cut under 0.5% in the second half of 2018. At 12.43%, Arrow Global Group has the highest overall short interest of these 4 companies, and is 2nd most shorted company in our overall UK records, with ten funds holding a big short. 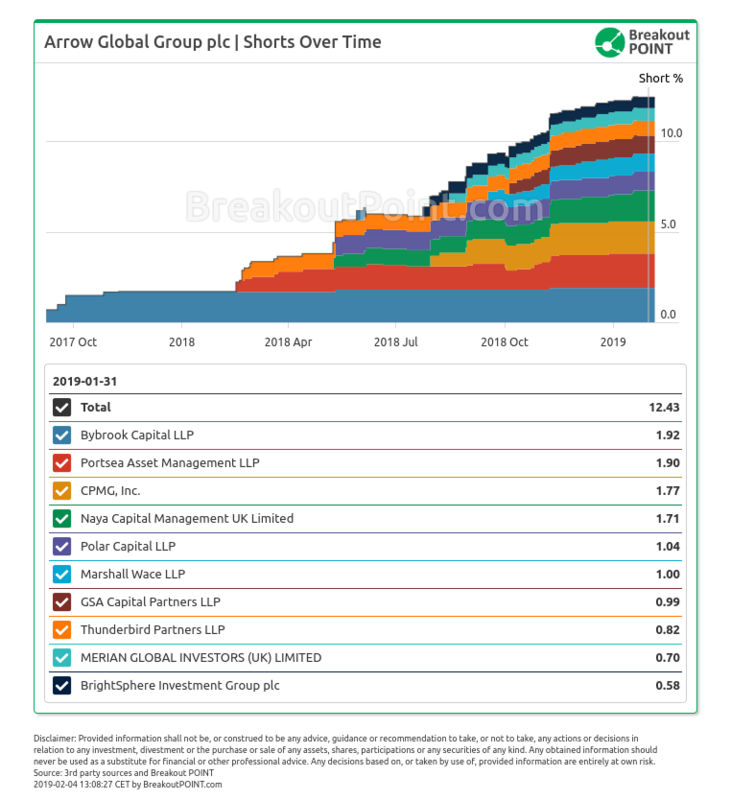 Interestingly, the big shorts in Arrow Global Group by Bybrook and Portsea are not only the biggest but are also the longest standing short positions. 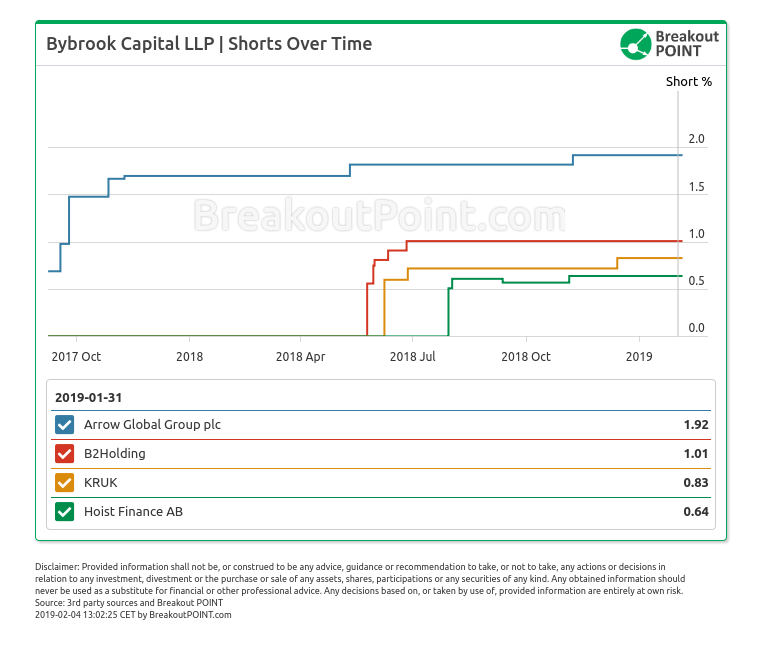 All about Bybrook Capital's short selling activities is available for our members here.